Indie Source is an apparel manufacturer and fashion consultancy in downtown Los Angeles. We were born as a solution for emerging brands lacking experience in navigating complex supply chains and bringing products to market. Instead of high factory minimums and dirty warehouses, we offer low minimums in a clean space in downtown Los Angeles where we promote our workers and their craftsmanship. 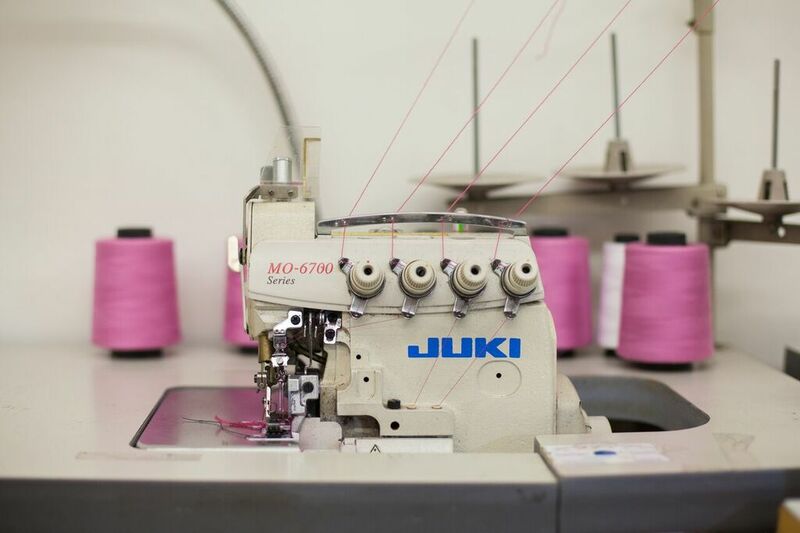 Most importantly, we offer emerging fashion brands the space to focus on the creative components of their collections by allowing us to manage the technical development and manufacturing. Our clients work with a team of project managers, sourcing specialists, pattern makers and sample makers to bring their visions to life. As a full package (CMTP) manufacturer we also provide marking, grading, cutting, sewing, printing, packing and shipping of finished production runs. We are proud to offer custom fabric development to our brands and our partnerships with over 70 domestic and import fabric suppliers allows us to source exactly what our clients need.